Hello hello! I’ve got a few things to share today so I’ll try not to ramble. First up, my Anna obsession continues with a new version of the By Hand London pattern. This is my third attempt with a gathered skirt and numerous fitting tweaks. I’ve reduced the gaping at the front and back and added a little more room under the arms. The fabric is a luscious viscose challis from Elliott Berman Textiles in NYC that I bought on my trip earlier this year. When I saw the vivid florals I ran straight over to the bolt and it’s the best quality viscose I’ve felt. Apparently it’s Italian which is a shame I went to America for European fabric but I’d never have found it over here. Sizing-wise it’s a crazy hybrid of three sizes. I used 2m of fabric, kept the neckline facing and used black bias binding for the armholes. Gosh I luuuurve it. I wore it out for an early birthday dinner on Friday with my family and it was very forgiving when I ate ALL THE FOOD. Plus the fizz we drank. Oops, thank goodness for gathered waist dresses. 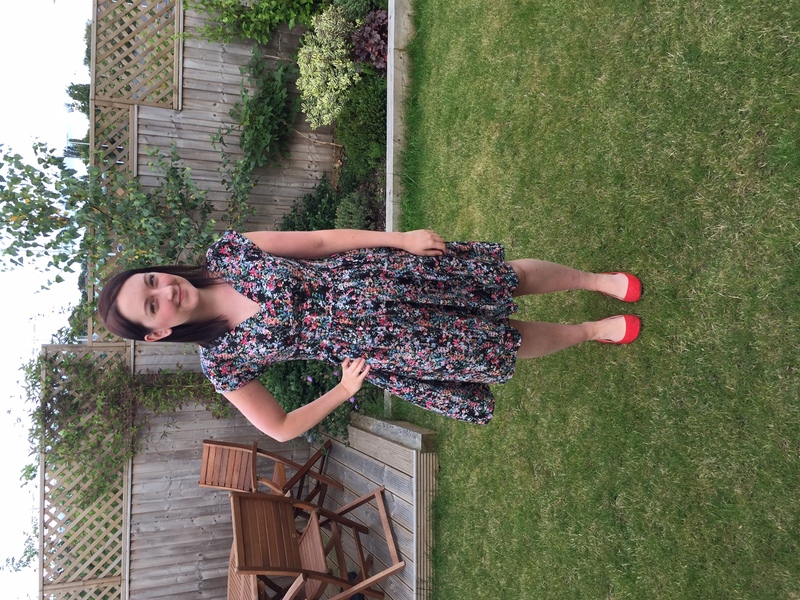 I wore it again on Saturday night to a friend’s 40th party – who else does this when they’re obsessed over a new make?? On Sunday I was surprised by an early birthday present as my lovely partner Jimi proposed… while I was wearing my star print Anna dress! (Still to blog annoyingly so here’s a terribly cropped pic of it.) We then ran off for a stay at Oulton Hall spa to get pampered and eat a load more delicious food. Seriously though it’s been overwhelming how many lovely comments we’ve received about the news. Did you know Jimi and I have been together as long as I’ve been sewing? We’d been together only a short while before I started evening classes and he’s always been my personal cheerleader, enabler and photographer. And although we are already fiercely committed to each other and marriage won’t change that, planning a wedding and our life together once we’re hitched is too wonderful to put into words right now. As if the weekend wasnt going fantastically enough, I was also lucky enough to receive a vintage treadle sewing machine and a complete copy of Ann Ladbury’s Liberty dressmaking book with patterns for 12 garments inside. Check out the video of my machine on Instagram! Plus I was gifted some delicious gin (Adnams of Southwold and cucumber gin – perfect for a machine-side drink), sewing vouchers, new converse and perfume. Phew! So I still have several garments to blog so this my site won’t end up completely wedding-centric. Chatting to a few people this weekend at the epic Sewing Weekender hosted by the Foldline and English Girl At Home there was some interest in me sharing my handmade wedding dress plans. Because yes I’m definitely going to attempt making the dress. Though deciding what to make is seeming impossible right now. 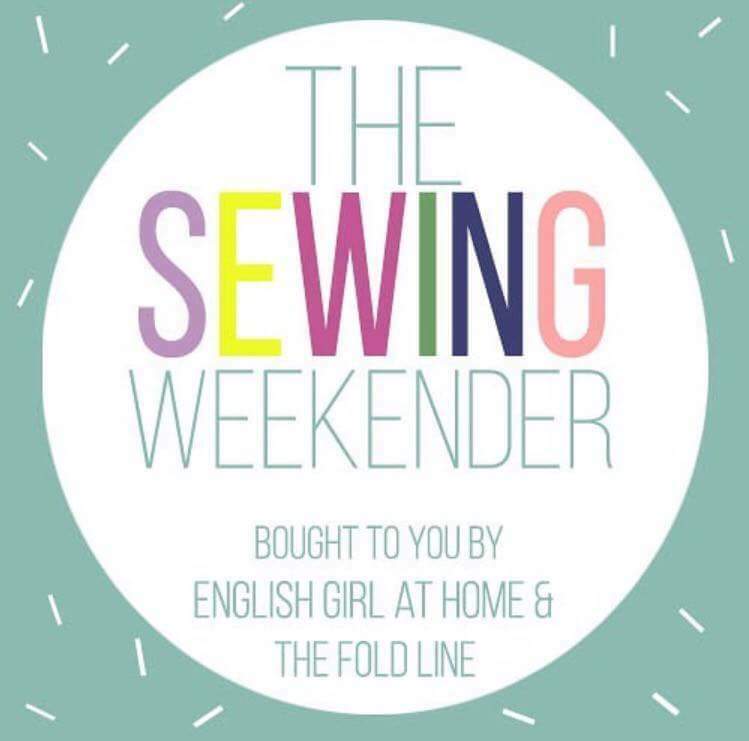 Stay tuned for more about the Sewing Weekender first though hehehe. Also if you have any books or sites you’d like to recommend for working with bridal fabrics or diy weddings please leave them in the comments. I do know quite a few bloggers have made their dresses so will be going back to those posts. So for now here’s me and my future hubby looking mature and responsible as 32 year olds.